When it comes to selling your home, first impressions count. For most home hunters the majority of research starts online, and your photographs need to be up to scratch so you can reel them in on first glance. Think about it - when looking for a new home, the first thing most people do is look at the photos. Whether it’s online or in the local paper, people want to visualise the property not read about it. If they like what they see, then they’ll move onto the text. So it pays to find someone to photograph your property the best way it can be. The first reason is, of course, the most obvious: Taking photographs is their job. They know how to make areas look brighter, bigger and more inviting. 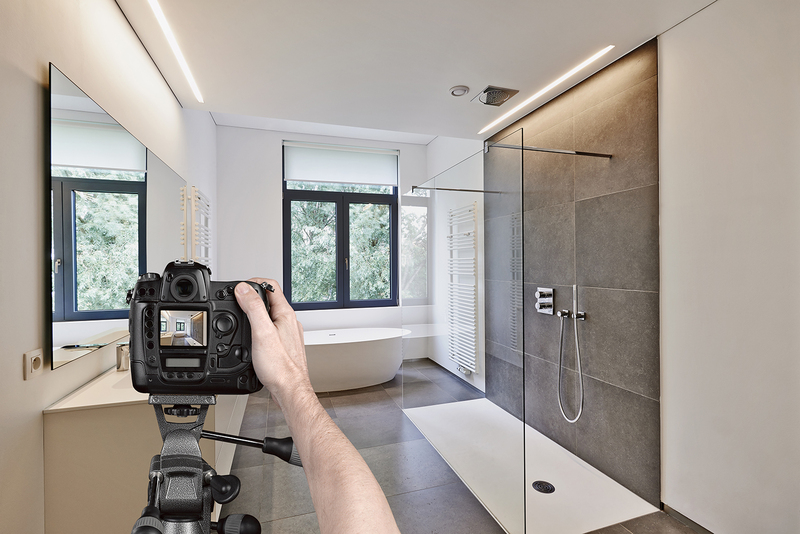 Professional photographers know what areas will look best, and what angles will best capture the most desirable attributes of your home. They know how to use the light to their advantage and they know how to frame the room just right so it looks the best it can possibly look. On top of this, professionals know how to retouch the photos further to make them even more appealing. Don’t worry, this doesn’t mean they change the colour of your walls or add in features that are not there, it just means they enhance the features they have already shot. This especially comes in handy on days where weather doesn’t particularly cooperate, or when you have views. Often, the exposure needed inside will not capture the view in the best way. A little nip and tuck in editing software and suddenly you can see how beautiful the water is outside, while still taking in the space inside. Not only do professionals understand the importance of light and staging, they also have the equipment for it. This includes a top-quality camera and the best lenses to capture properties. Further, as ridiculous as it sounds, many people just cannot take a straight photo. Or, the lighting will be so bad and the photograph will turn out blurry because the person taking it moved slightly. A photographer comes with a tripod and therefore, no movement and a perfectly straight photograph. On top of the equipment, photographers understand the correct composition needed to highlight your home the best. Photos must be composed by deciding the focus of the photograph and the elements to include. Once this focus is chosen, they know how to set up the shot properly. This is especially true when you’re dealing with architectural or structural elements that may be a bit unusual. If there are custom features to the house, for example, heritage ceilings or custom-made built-ins. Draw on people’s emotions with excellent photography. It’s guaranteed to be worth it. They say a picture speaks a thousand words, and it can also speak thousands of dollars if you do it right. For more information on our marketing services, just give us a call or send us an email and we would be happy to help you further.